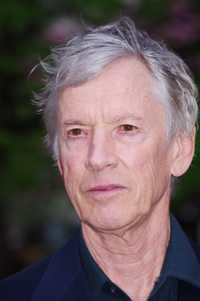 Theodore Scott Glenn (born January 26, 1941), better known as Scott Glenn, is an American actor. His roles have included Wes Hightower in Urban Cowboy (1980), astronaut Alan Shepard in The Right Stuff (1983), The River, (1984), Emmett in Silverado (1985), Verne Miller, a.ka., "Gangland," (1986), Commander Bart Mancuso in The Hunt for Red October (1990), Jack Crawford in The Silence of the Lambs (1991), Roger in Training Day (2001), Ezra Kramer in The Bourne Ultimatum (2007), The Wise Man in Sucker Punch (2011), and Stick in both Daredevil (2015) and The Defenders (2017). This webpage uses material from the Wikipedia article "Scott_Glenn" and is licensed under the GNU Free Documentation License. Reality TV World is not responsible for any errors or omissions the Wikipedia article may contain.